OWLS is an open, multiracial, multicultural group of rank-and-file labor activists, committed to education and action with the aim of building solidarity and fighting spirit in the labor movement. 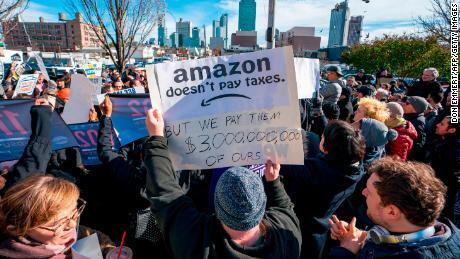 Last year, Amazon paid zero dollars in federal income taxes. Known for horrific working conditions in its warehouses, Amazon also engineered bidding wars nationally for its new headquarters. Su Docekal, Seattle organizer of the Freedom Socialist Party, will share information she’s researched on the toll Amazon takes on public treasuries and services from Seattle to New York City. Plus a look into the E-commerce giant’s divide-and-conquer tactics in the labor movement. Join OWLS for a tax season discussion on what labor can do to stop corporate rip-offs! Come to the OWLS Meeting, Tuesday, April 23, 7pm at Seattle Labor Temple, Hall 6, 2800 First Avenue. Let’s Beat Back the Privatization Attack!